"We give good advice. Good is not Expensive, bad advice is." A prosthodontic, endodontic, oral surgery or dental implant consultation at Dublin Specialist Dentistry is not simply a "quick look", "look see" or "opportunity to sell to you", and involves a highly detailed examination, multiple X-rays, models and photographs. Cone beam CT scan are taken if necessary. From these records we can develop treatment options to suit your requirements, budget and expectations. We always give patients ethical recommendations, we never recommend unnecessary implants, extractions, or units of prosthodontic work. This alone can make our treatment plans more affordable than others you may have gotten and leave your mouth in a healthier, more maintainable condition. You will always be issued a full report, treatment estimate and if needed a report back to your general dentist. Digital copies of you X-rays can be made available to you should you require. For Oral Surgery consultations the same is the case. Detailed medical history, discussion of pros and cons of treatments and decisions about sedation of other ways to make treatment most comfortable for you. 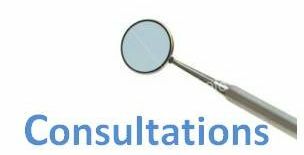 You will have a number of questions about treatment, and the time is given at each consultation to make sure you are fully informed about what's going to be done. The Endodontic consultation fee will be credited toward your treatment costs if you proceed with treatment. If you are seen by two or more specialists (as is the case for dental implant treatment) you will not be charged for two consultations. Please see our cancellation policy here. We may require a booking deposit for new patient consultations, and require 2 working days notice for cancellation.